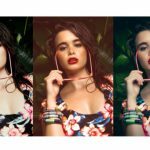 So, you’ve got your brand new Moxi Blu swimwear but that only means you are part-ready to make a fashion statement on the beach — time to accessorize! We think the first piece to start with, with the most potential to steal attention and the most important for the health of your skin, is the hat. There are a million styles out there to choose from, but we found a few of what we think are the best women’s beach hats for the summer! They are all stylish and affordable, just like Moxi Blu, and even if they aren’t exactly what you’re looking for hopefully they will give you some ideas. 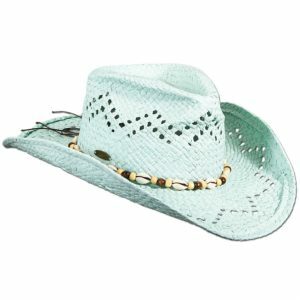 The aquamarine color of this straw hat is what grabbed our attention first — just a perfect compliment for those azure waters — but then we noticed the nice details like the wrap-around tassel that dangles to the size and the subtle edging around the brim. Recommended for the Geo Print or Tropical Print! We just loved the shape of this Toyo design, so we had to go with another color. To be honest when we saw this it just screamed out as the perfect compliment for our uber popular Galaxy print suit. We think the combo would make for a striking look. You know, you may have read a past post of ours in which we threw a bit of shade at the idea of the cowboy hat look, but to be honest we’d never seen a cowboy hat like this! The seafoam color is beautiful and it has just enough rustic hints with that wrap-around braid. We see it going well with our Geo Print for sure! This design just has that special something. Not too flashy. Just a beautiful shape, classic straw color, and that just-right turquoise hint! Try it with our Geo Print or Floral Print. Classic, right!? How about a hat with neutral tones that looks lovely and goes with just about everything? We’d love to hold this hat in person because it appears to have some beautiful texture work along the brim. What do you think?